CT2575 - The SpinSocket™ is a fidget spinner, stand, and tether that uses 3M adhesive to adhere to the back of your phone. This product allows you to prop your phone up and watch videos on any flat surface. It also gives you a secure grip on your phone while taking those much needed selfies. 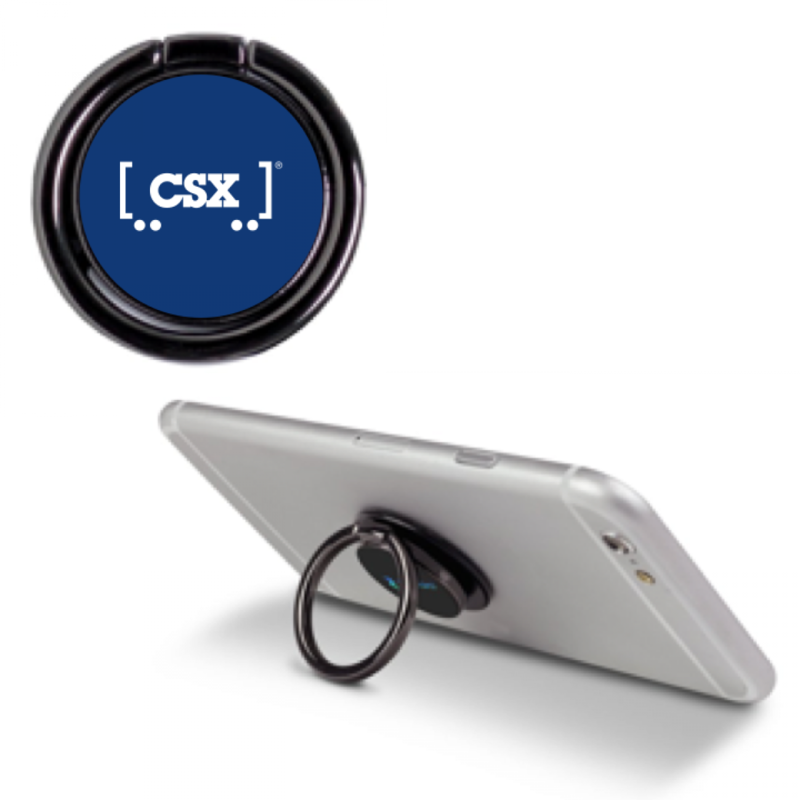 Black with blue background and the CSX logo in white.